Please fill out as thoroughly as possible. 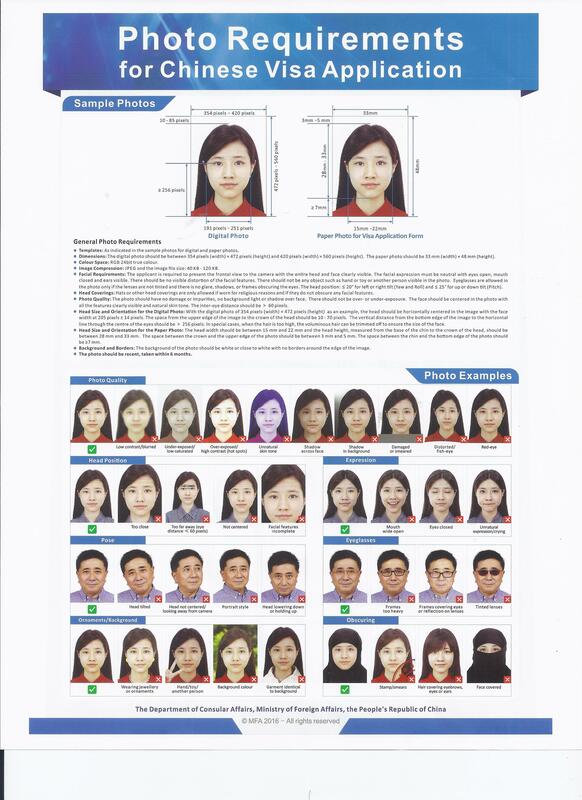 Modified Requirement for China Visa Photo – Please click here and read carefully! One most recent passport-style photograph (2x2) with light background. If you wear glasses, please make sure there is no glare on the lenses in the photograph. Homemade photos are not acceptable. A copy of the hotel reservation.